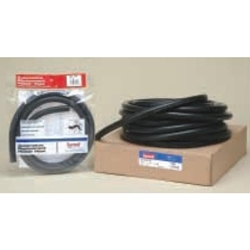 Black Standard Heater Hose 3/4" x 50' BOWES HO HH37100. A replacement for hose on most cars and light trucks. This standard grade hose is similar to SAE20R3 for normal duty service. Withstands the abuse of corrosive solutions and additives. Resists weathering to provide a long, trouble-free service life.